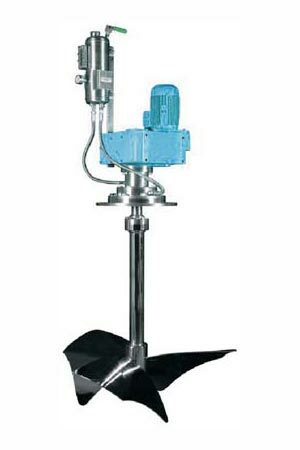 Water Treatment Agitator that we offer can be mounted on beams, flanged, channels, clamped etc. 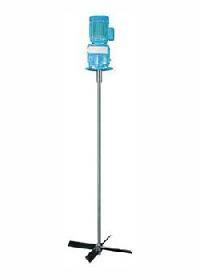 We are a trusted Manufacturer and Supplier of Water Treatment Agitator from Delhi, India. Our Water Treatment Agitator is highly appreciated by the customers due to its dimensional accuracy, durability, longer operational life and sturdy construction. Variety of sealing options- gland, single mechanical seal, double mechanical seal, cartridge seal etc. Tube settlers and parallel plates increase the settling capacity of circular clarifiers and/or rectangular sedimentation basins by reducing the vertical distance a floc particle must settle before agglomerating to form larger particles. Tube settlers 60 and adjacent to each other, which combine to form an increased effective setting area. 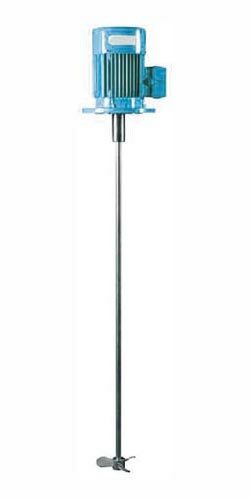 This provides for a particle settling depth of a conventional clarifier, reducing settling times. Tube settlers capture the settleable fine floc that escapes the clarification zone beneath the tube settlers and allows the larger floc to travel to the tank bottom in a more settleable form. The tube settler’s channel collects solids into a compact mass which promotes the solids to slide down the tube channel. Residential and industrial waste water treatment plants, Potable water treatment plants, Oil separators,In rectangular or circular section reinforced concrete pools or sheet construction tanks, Tube Settler Lamella can be used, Shortly in all treatment plants where a good settling efficiency is expected. For some waste waters, a settling system using TUBE SET can become a stand-alone solution. Water parameters can be reduced to required criteria without needing to a chemical dosing, fast or slow mixing.